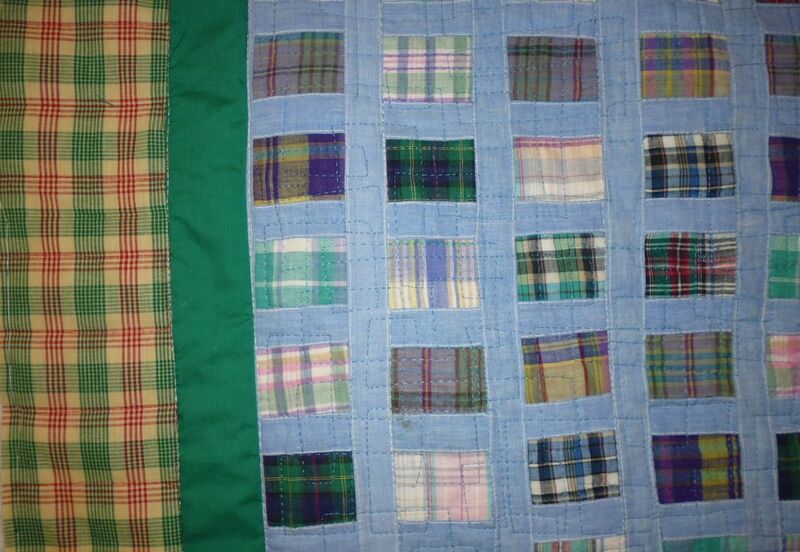 I spent a long weekend at a private retreat a few weeks ago, which is when I quilted this quilt (and 7 others). Therefore the photos aren’t as good because they were taken indoors, and I don’t have information on the threads used. 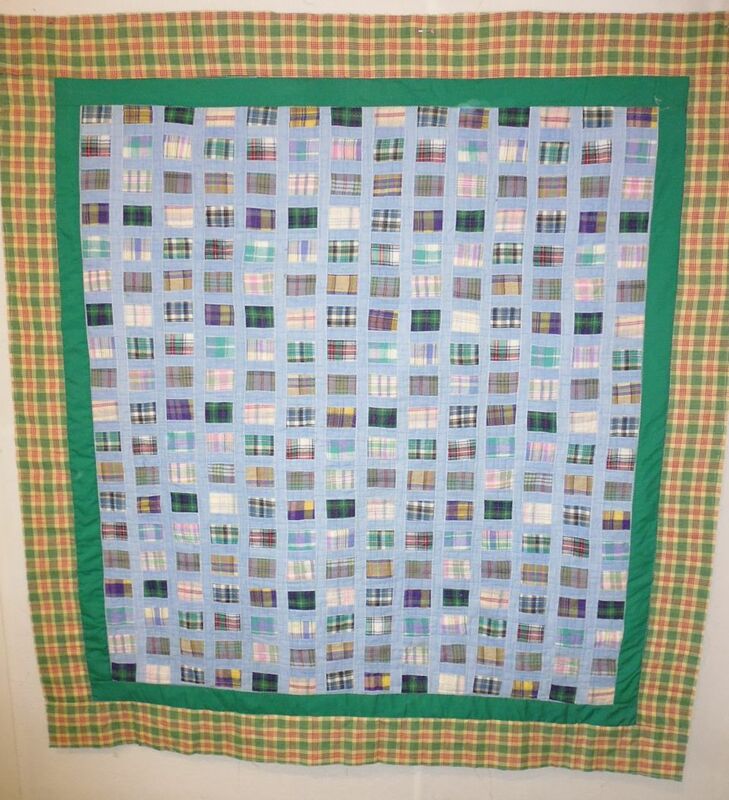 This quilt was very similar to #359, except for the borders, so I quilted it similarly, with a squared stipple in the main top and piano keys in the plaid border.